Incredible. Amazing. Generous. Thoughtful. 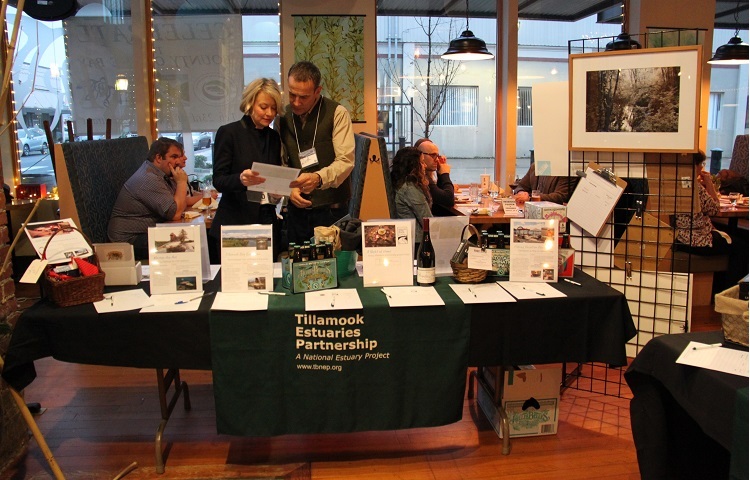 It is hard to find the words to describe the businesses, partner organizations and individuals who give so much to Tillamook Estuaries Partnership. Their support gives us the extra lift to provide environmental education programs to students throughout Tillamook County, enhance habitat for fish and wildlife, and monitor water quality. Their support truly shined at our Celebrate the Bounty of our Bays fundraiser in February. 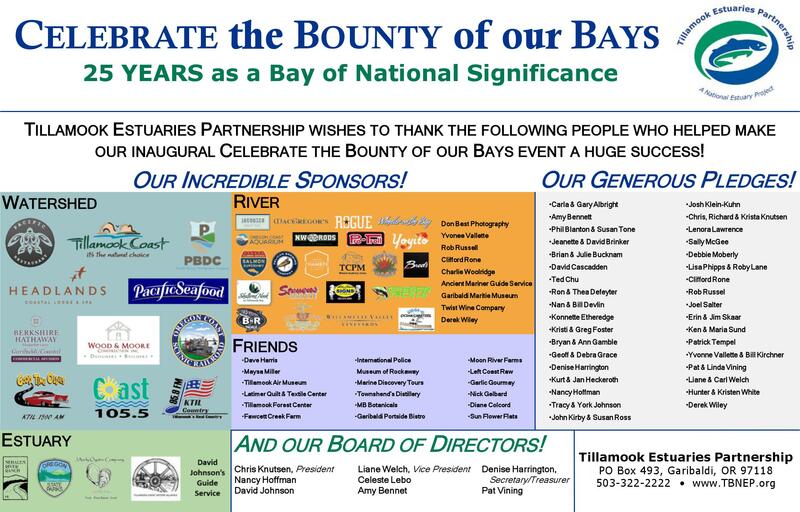 From donations of local oysters, fish and beef to silent auction items of fabulous getaways, fishing gear and artwork- our sponsors outdid themselves to help us kickoff our year-long celebration of Tillamook Bay's 25th anniversary as a Bay of National Significance! Attendees were treated to some of the finest locally sourced and produced cuisine, beer and wine, all to support clean water, abundant fish and wildlife, and vibrant communities. And the community showed their support in return during our paddle raise, pledging their dollars to support the on-the-ground programs of Tillamook Estuaries Partnership. Together we raised over $29,200 in donations and pledges! So once again, we want to say THANK YOU! to all of our sponsors, pledges, and supporters who made this inaugural event a true success.